Our Portfolio Management services are available to all institutions. We have a special focus and expertise in Taft-Hartley Plans and public funds. We also have experience managing private endowments and foundations. The Dearborn Partners’ Large Cap Growth (sub-advised by Logan Capital Management, Inc.) product applies fundamental business, macroeconomic, and technical analyses to U.S.-traded securities with a market capitalization greater than $5 billion. Companies are screened for above-industry growth rates in sales and earnings, balance sheet strength, and shareholder value creation. The resulting portfolio typically holds between 35 – 45 securities. The Dearborn Partners’ Large Cap Value (sub-advised by Aristotle Capital Management, LLC ) product applies a fundamental, bottom-up stock selection process to U.S.-traded securities with a market capitalization greater than $5 billion. Companies are screened for strong and sustainable returns on invested capital, consistent free cash flow generation, balance sheet strength, and shareholder value creation. The resulting portfolio is monitored for valuation opportunities, with the final portfolio typically holding between 20 – 30 securities. Dearborn Partners’ MVP Small Cap Core strategy (sub-advised by Ziegler Capital Management, LLC) uses a fundamental, bottom-up approach designed to identify underpriced securities with a strong potential for long-term appreciation. The investment process begins with a deep fundamental analysis of the universe by sector specialists, followed by the application of proprietary cash flow-based Price Discovery and Relative Value models. The portfolio is then constructed using the most attractive stocks by sector with a focus on risk control. Dearborn Partners’ MVP Small Cap Growth strategy (sub-advised by Ziegler Capital Management, LLC) uses a fundamental, bottom-up approach designed to identify underpriced securities with a strong potential for long-term appreciation. The investment process begins with a deep fundamental analysis of the universe by sector specialists, followed by the application of proprietary cash flow-based Price Discovery and Relative Value models. The portfolio is then constructed using the most attractive stocks by sector with a focus on risk control. The Dearborn Partners’ Small Cap Dividend Value strategy (sub-advised by Keeley Teton Advisors LLC) is a bottom-up, fundamental driven strategy. Keeley screens the universe of all U.S. equities with a market cap between $200 million and $3.5 billion for companies that pay a dividend. Keeley then evaluates those equities for their definition of: Quality, Timeliness, and Valuation. Portfolios are constructed on a sector neutral basis, but Keeley generally limits sector weights to within 5% (+/-) of the applicable benchmark weight, in order to maintain a diversified portfolio of dividend paying stocks. The Dearborn Partners’ Small-Cap Value Diversified Strategy (sub-advised by Sterling Partners Equity Advisors) seeks to deliver total returns in excess of the Russell 2000 Value Index through a 50-70 stock portfolio. There can be no assurance this objective will be achieved. The strategy utilizes a value orientation, seeking to invest in companies at a significant discount to our estimate of intrinsic value or “true-worth.” The firm applies a repeatable and disciplined process developed over decades of investment management experience with a focus on deep bottom-up fundamental research. The Dearborn Partners’ Small-Cap Value Focus Strategy (sub-advised by Sterling Partners Equity Advisors) seeks to deliver total returns in excess of the Russell 2000 Value Index through a 25-35 stock portfolio. There can be no assurance this objective will be achieved. The strategy utilizes a value orientation, seeking to invest in companies at a significant discount to our estimate of intrinsic value or “true-worth.” The firm applies a repeatable and disciplined process developed over decades of investment management experience with a focus on deep bottom-up fundamental research. Luke has lead portfolio management responsibility for the firm's alternative fixed income product, Return Profile Management (RPM). He joined Dearborn Partners from Deerfield Capital where he held a number of senior management positions. Luke’s extensive previous experience includes positions at Colorado National Bank, Harris (Bank) Investment Management and Dresser RCM Global Investors.RPM is an absolute return fixed income strategy, with a lengthy track record of generating enhanced returns over U.S. Treasuries without using derivatives, leverage or credit risk. It offers clients total liquidity, no "lock-up" period and complete transparency as to the portfolio holdings and market value. 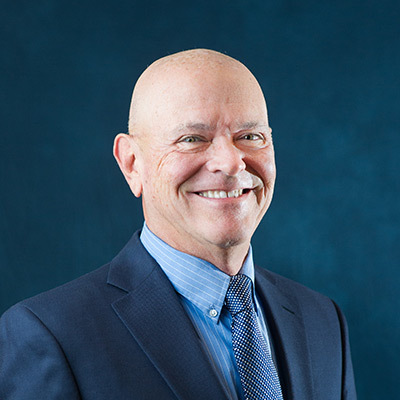 Cal is responsible for developing, maintaining and serving the firm's institutional business.A 30+ year investment management veteran, Pedersen was most recently Chairman and CEO of Duff & Phelps Investment Management Co. and was on the Equity and Fixed Income Investment Strategy Committees. He previously served as Head of Sales and Marketing and was President and CEO of three closed-end mutual funds. Earlier, he was a Managing Director with First Chicago Investment Advisors. Holly Fruland is an Institutional Client Service and Business Development representative for Dearborn Partners. Ms. Fruland has 10 years of industry experience. Ms. Fruland was previously an Assistant Vice President at Allianz Global Investors primarily responsible for Taft-Hartley client relationships, consultant relations and business development. Prior to that, Ms. Fruland began her career as an Executive Assistant at private-equity investment firm Adams Street Partners. Ms. Fruland the series 3, 66 and 7 FINRA licenses. Rena serves as an Institutional Client Service and Business Development representative. She is responsible for client relationships, services, and consultant relations. She is licensed to practice law in Illinois. For our commentary on the quarter ending March 31, 2019, please click "download".